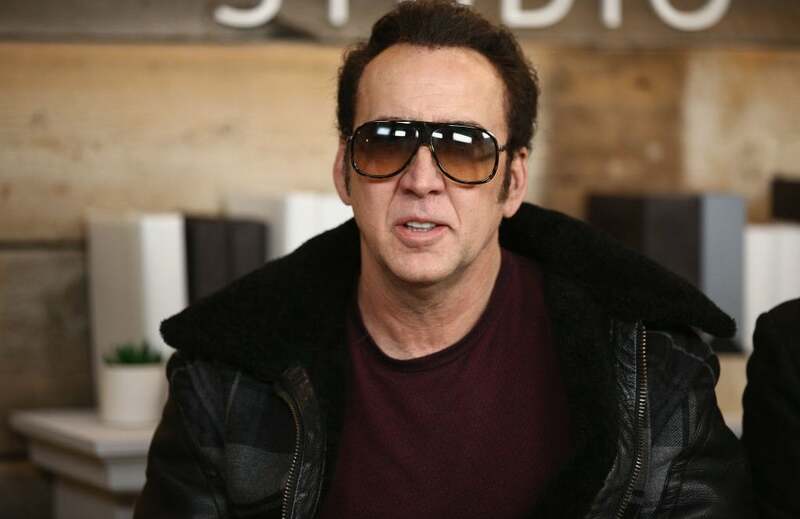 Nicolas Cage: "I'm a Virgin at Sundance"
You might think that given his long and varied career, Golden Globe winner Nicolas Cage would be a festival veteran from the early days of Sundance. But when we sat down with the actor at the Mustang Restaurant to talk about Mandy, a violent revenge film playing here in the Midnight section, we learned the surprising news that he is, in fact, a newcomer to the country’s foremost film festival. Mandy is the latest work from director Panos Cosmatos, and the cast also includes Andrea Riseborough and Linus Roache. Have you been to Sundance many times? No, this is only my second time. I think it's my first time that a movie I've been involved in has premiered at the Sundance Film Festival so I'm a virgin really. I was here maybe 20 years ago. I had a really wonderful conversation with Mr. Redford and I was doing a Q&A and a bit of a retrospective and we had a nice talk. He drove me to the place. I was in his truck with him and he was talking about how it's good for actors to take a year off and he had gone out to live I think it was in Scotland or Ireland on a farm with the sheep and it was very rejuvenating and he was kind of giving me avuncular counsel and I deeply appreciated his insight. How would you say the festival has changed from that first visit to now? It's still the film enthusiasts' festival because these people are hanging out in the snow and they're coming from all over and they're waiting for tickets for hours and they really make or break a movie. I mean, this isn't so much a market like some of the bigger ones that we know about in Europe but it's still more the cinephiles' festival so it's a pretty big honor to be invited here. Having been in the business for 40 years, but I'm thankful because my roots were indie. I came out of independent cinema and to be invited back by the people who support independent cinema no matter if I made blockbusters a million years ago or not is a nice feeling. Like a (Sundance) virgin: Nicolas Cage meets and greets fans; with castmates Linus Roache and Andrea Riseborough and Director Panos Cosmatos at the Moidfnight premiere of Mandy. Why did you decide to do Mandy? I really was blown away by Panos's previous film Beyond The Black Rainbow. I felt that it was unlike any other movie I've ever seen. It was extraordinarily unique and artistic and when I read the script for Mandy I felt there was something I could do with the Red Miller character, that I could apply my memories and my emotional resources to and hopefully give it some authenticity. Who is your character in the film? I play Red Miller. He's a lumberjack. He uses a chainsaw in his work and he's deeply, deeply in love with Mandy, Andrea Riseborough's character, who is artistic. She writes poetry and paints and he is in awe of her and when this evil cult energy takes her away from him he kind of channels the darker side and goes full barbarian because he's impossibly angry. Would you say this is a personal film? Every movie I'm involved in hopefully becomes deeply personal because I really don't want to have to act. It's always going to be partially artificial but I would like to rely on memory, dream and imagination and whatever it is so that I can play the part authentically. If there's something in my life experience that I can bring to it then I can play the part in an organic way and, therefore, it will be personal so, yes, this was personal. How would you say this character changed you? Well, I don't know that it changed me but film performance has always been a very productive and constructive way to channel energy as opposed to negative and destructive which can happen when I'm not working. It's always been a kind of a therapy to me, a medicine to me. In some ways, it is like exorcism of just getting it out so it doesn't implode and there are gentle or more intense ways of doing that and different roles require different energies and this one was more intense. I was just coming off of a broken leg. The way I broke my leg is not something I really want to go into but it really pissed me off and I didn't know if I could make the movie and I had to learn chainsaw fights and ax battles and I'm like still recovering from ankle surgery and I just put that all into the Red Miller character thinking about how I broke my ankle.